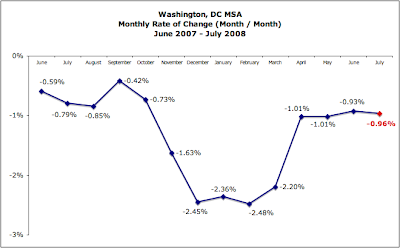 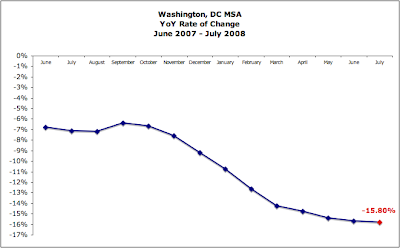 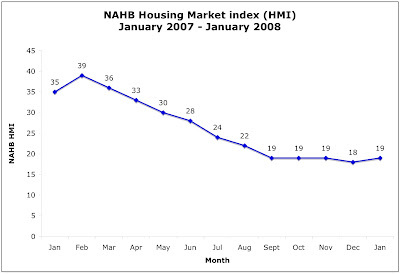 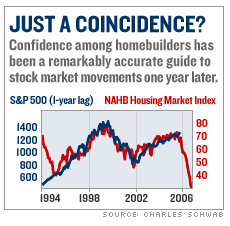 NAHB confidence for September 2008 is 18, up from 16. 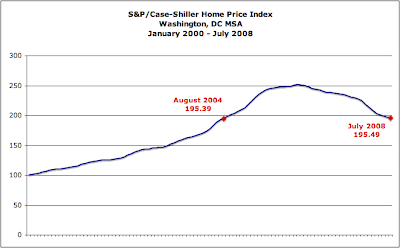 The S&P has fallen 14.33% [at this moment] since this entry was first posted in January 2008 and is down 20.77% since January 2007. 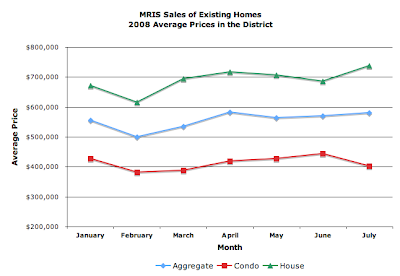 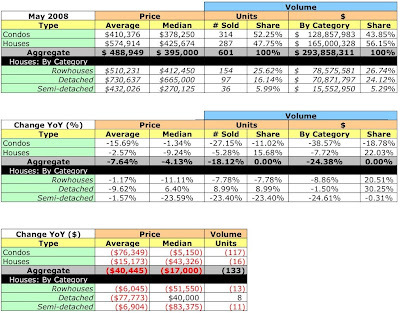 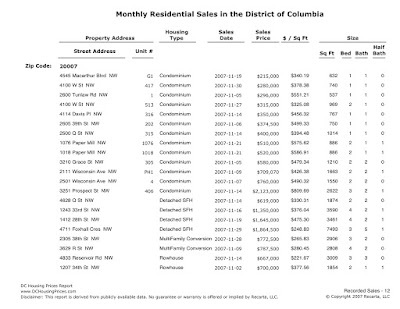 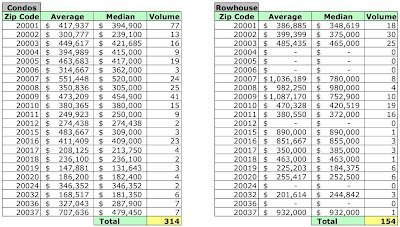 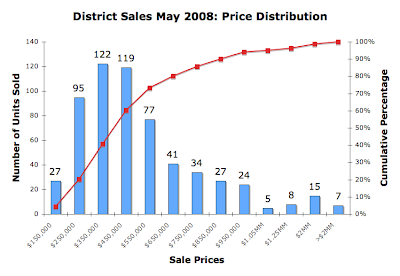 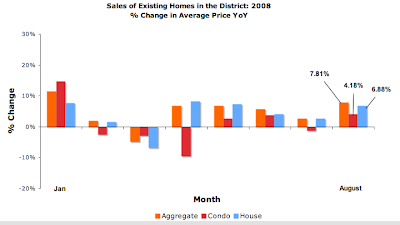 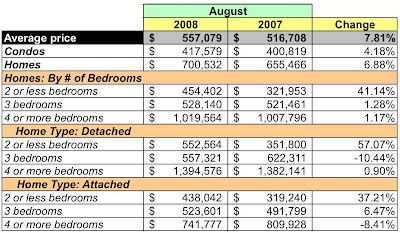 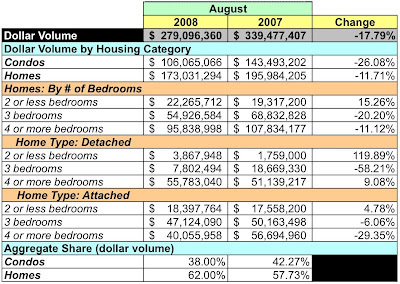 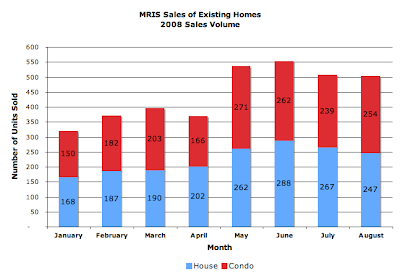 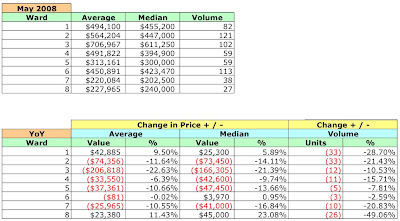 I've started processing the District's data for sales recorded in May 2008. 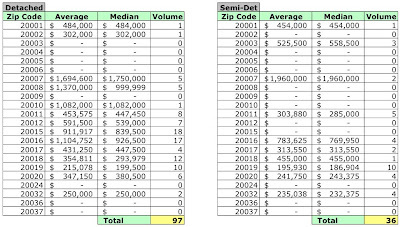 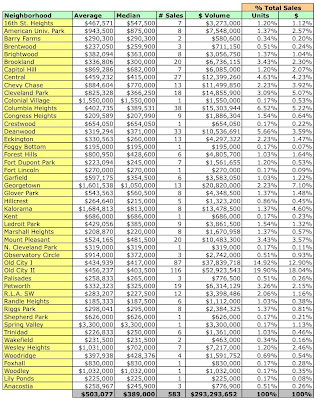 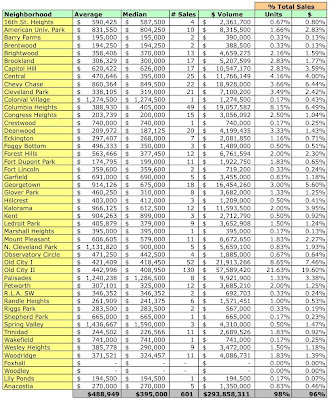 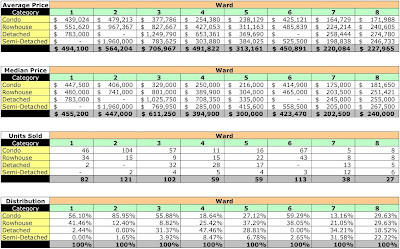 It'll take me a few days to plow through it, but preliminary sales information on average prices per ward per housing type is provided in the table below.